You don't have to be the head of a large non-profit organization to be concerned about cancer fundraising ideas. Family and friends can help make the cancer journey easier for loved ones with cancer by helping them find sources of financial assistance. Upon being diagnosed with cancer, a person's life changes dramatically. Daily concerns have to take second place to completing all the tests, doctor visits and paperwork that are needed in order to plan the cancer treatment. Once the treatment is started and a general plan is put into place, the patient's attention may turn to questions about finances. All these costs come at a time when the family has neither the emotional energy nor the time to deal with additional financial stressors. If you are trying to put together some cancer fundraising ideas, your first call should be to the American Cancer Society. The organization has a hotline that is staffed 24 hours a day as well as access to a comprehensive database of local, national and international organizations that can help individuals with cancer. The second call you should make is to any diagnosis-specific organizations. For example, Leukemia & Lymphoma Society and the Susan G. Komen Foundation for breast cancer both have financial assistance programs that can help with co-pays, insurance premiums and sometimes other treatment related costs. Always make sure to check with any local chapters of these organizations and other cancer charities. One of the most fun ways to raise funds for an individual is through a local event. The best way to assure a good turn-out is to make the event dovetail with the interests of the person for whom you are fundraising. For example, if the cancer patient is a singer/songwriter, put together a musical concert and ask this or her singer/songwriter friends to donate their time to play at the event. If the person is an avid knitter, hold a knit-a-thon at a local community center. If the patient loves animals, hold an animal talent show. Don't confine your fundraising efforts to charging admission only. You can also hold a raffle or silent auction, sell refreshments and get community organizations to advertise in the program. A second easy way to help raise funds is through a website or blog. If your friend or family member is already chronicling his or her treatment journey on a personal website, you can suggest adding a link for readers to make direct donations and help set it up. If the blog is updated regularly and has substantial hits, it may even be able to find local businesses that would like to advertise on it. Banner ads are typically sold for a one month period. If one or more businesses to commit to a six month period, the person will have a reassuring promise of ongoing financial assistance. 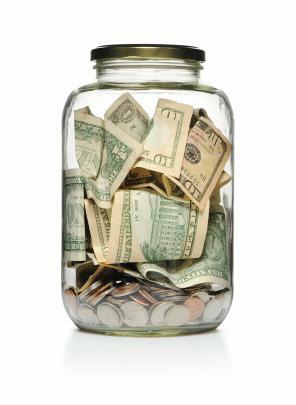 One extremely low-pressure way to raise small amounts of money is to provide change jars to friends and family. You can make these very simply by collecting plastic jars from family and friends (the size that peanut butter comes in is ideal). Decorate the jars with a photo of the person you are raising money for and a reminder that the jar can be filled with spare change at the end of the day. You can pass these out to friends, family members and neighbors and then come back to empty them a few weeks later. Take the responsibility of hauling the change down to the bank to have it converted into bills or a check. Nickels and dimes can really add up! When a friend or family member has cancer, it can be tempting to immediately start fundraising efforts if you know they are going to be strapped for finances. Some people might feel embarrassed about accepting this kind of help. You can smooth the process by presenting the person with a few different cancer fundraising ideas and letting him or her choose one. This is a great way to involve the individual without having to engage in activities that are too energy-draining or taxing.